Dog Bite Lawyer Spartanburg, SC: While most of our attorneys at Anderson, Moore, Bailey & Nowell, LLC are dog lovers and consider our animal companions to be part of our families, we know that certain responsibilities come with pet ownership. In South Carolina, pet owners are liable when their dogs bite or attack another person. Dog bite injuries can be quite serious. 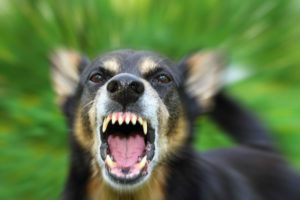 The painful results of dog bites can include punctured and torn skin and flesh, disfigurement, and nerve damage. People may also break bones and tear tendons and ligaments when falling or trying to get away from the attacking animal. 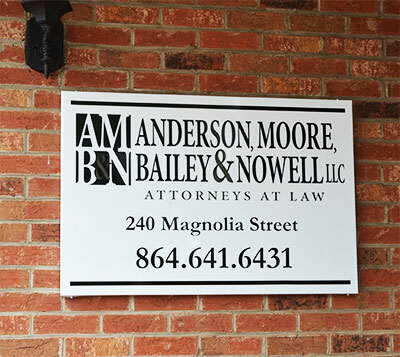 When you’ve been bitten or attacked by a dog, the personal injury attorneys at Anderson, Moore, Bailey & Nowell, LLC are here for you. Our Spartanburg attorneys will determine whether they think you have a valid claim. We’ll then try to negotiate with the owner or caretaker’s insurance company and their attorney to attempt to reach a fair settlement and obtain just compensation. We are also ready and willing to take your case to trial and try to establish the other party’s liability and your damages in front of a judge and jury. South Carolina has laws that limit the amount of time you can bring a lawsuit following an accident. Call us today at 1-888-234-2483 or (864) 641-6431 for a free consultation. Dog bite injuries in Spartanburg, SC can be the result of owner negligence, consequentially leading to injuries that require medical attention. If you or a loved one suffered from a Dog Bite in Spartanburg, SC, give us a call for a consultation.